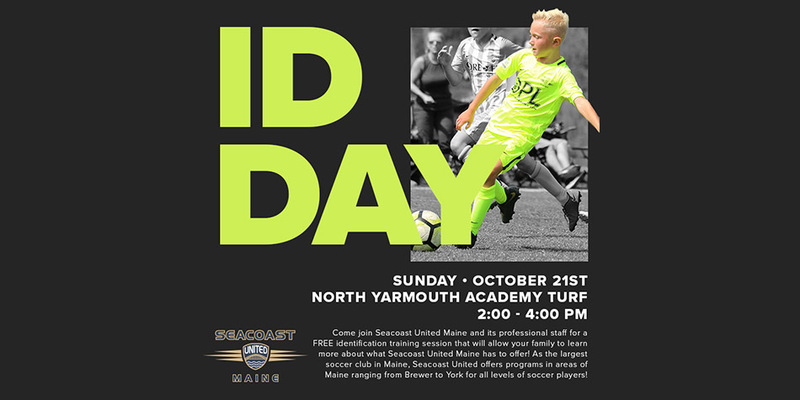 Come join Seacoast United Maine and its professional staff for a FREE identification training session that will allow your family to learn more about what Seacoast United Maine has to offer! As the largest soccer club in Maine, Seacoast United offers programs in areas of Maine ranging from Brewer to York for all levels of soccer players! Ages: All birth years ranging from 2012 through 2001. If you have any questions, please reach out to Club Director, Andrew Pelletier at apelletier@seacoastunited.com or 207-844-8475.